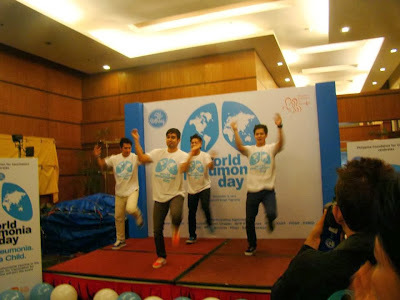 Children in the Philippines and other developing countries often succumb to Pneumonia. This acute respiratory infection that affects the lungs remains to be the largest cause of death in children worldwide according to World Health Organization (WHO). Casualties are significant as an estimated 1.4 million children under the age of five die from this killer disease due to limited access to health care facilities and treatment. Often mistaken for a common cough, most families are unaware that Pneumonia disease are caused by viruses, bacteria or fungi that can be fatal and dangerous. Pneumonia can easily be prevented through vaccination, adequate nutrition and by addressing environmental factors. Immunization against Hib, pneumococcus, measles and whooping cough (pertussis) is the most effective way to prevent pneumonia and lower child mortality. Giving pneumococcal conjugate vaccines to babies as young as 6 weeks old has been found to be effective in preventing pneumonia deaths. Children who fall ill from Pneumonia can be treated as well. 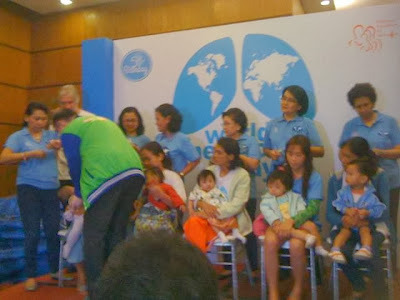 The simple message of “Prevent, Protect and Treat,” through breastfeeding, proper nutrition, avoidance of indoor pollution, vaccines and antibiotics is embodied in the song “Sapul sa Pulmonya”. The council for the World Pneumonia Day declared a call to action, where support for local health care workers and solutions through breastfeeding, education on sanitation practices and good nutrition were introduced. With the Global Action Plan for the Prevention and Control of Pneumonia and Diarrhea in full implementation, reducing childhood mortality by two-thirds by year 2015 will soon be within reach. This Millennium Development Goal 4 should be sustained though, so that more children will be celebrating their 5th birthdays around the globe. To show support for the said initiative, the Department of Health (DOH) observed the 5th Annual World Pneumonia Day through a dance event called the "Fifth Birthday". 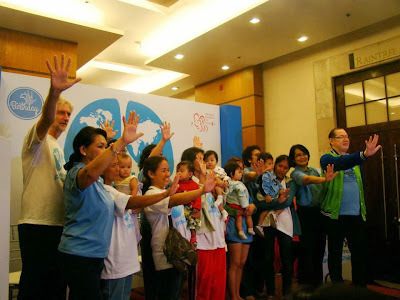 Fifth Birthday was organized by the Philippine Foundation for Vaccination (PFV) through the leadership of its Executive Director, Dr. Lulu Bravo and its President, Dr. May Montellano. Five infants from Tagaytay City were given pneumococcal conjugate vaccines during this momentous activity. 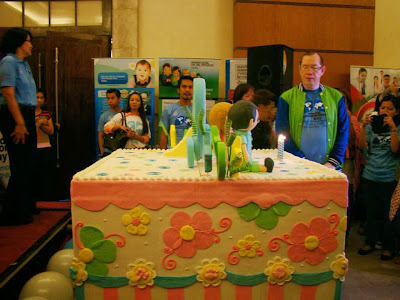 And as a symbolic celebration of the 5th Birthday of Filipino children who have been protected by the vaccine, Dr. Eric Tayag, Dr. Bravo and Dr. Montellano led a birthday candle blowing ceremony which culminated the Fifth Birthday event. I am afraid of Pneumonia, that is why I made sure that my son got the pneumococcal conjugate vaccines when he was still a baby. It was expensive for 5K per shot (x3) but I think it's worth it. It is better to be safe than sorry. I know how bad it is to have pneumonia. I was diagnosed with acute pneumonia when I was a kid but good thing I got better with the help of some OTC medicine administered by my doctor. Also, I think I am going to look on my kids baby book and check if they already have the vaccines. I hope its not yet to late though. I caught pneumonia when I was in first grade. I don't want my daughter to suffer like I did then. Hopefully,I'll have her vaccinated soon. My baby already received the pneumococcal vaccines! Now I am worry-free!